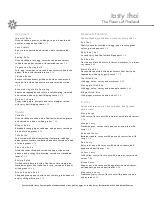 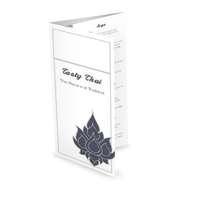 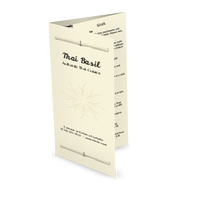 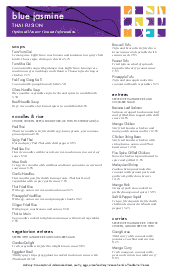 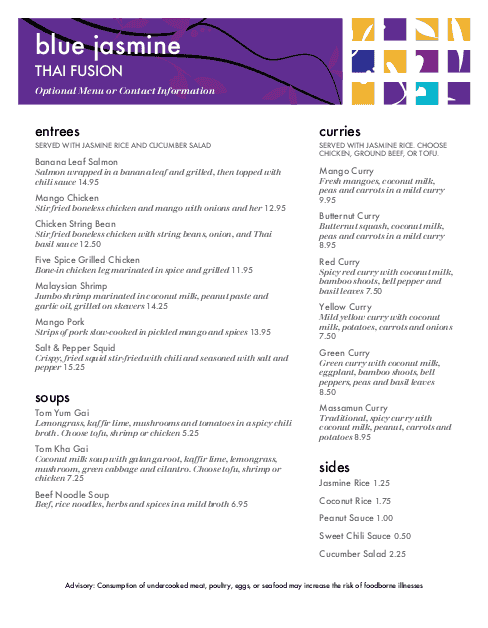 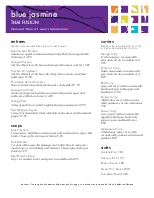 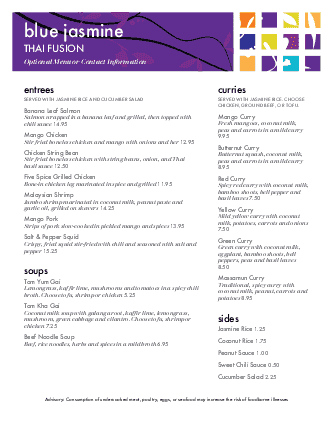 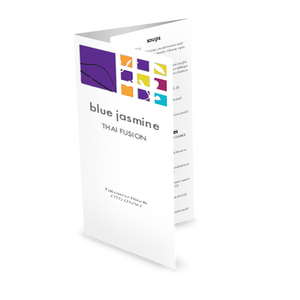 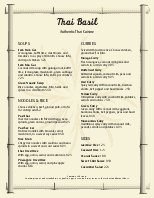 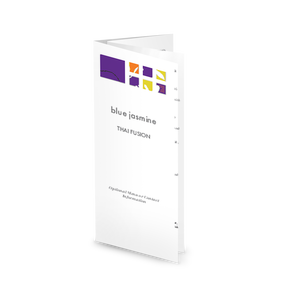 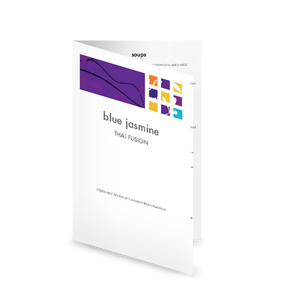 The Thai Fusion Menu is a restaurant menu template in letter size with a colorful purple banner at the top. 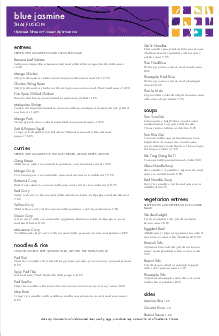 A wide column lists Thai food entrees, with a narrower column for appetizers, sides, and more. 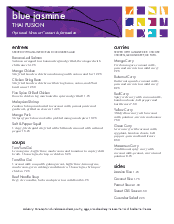 Customize fully for your restaurant using the online Menu Editor.